Thousands of hospitals and providers in rural communities and post-acute care facilities throughout the United States run CPSI Healthcare Information System. Summit Healthcare is a leader in providing integration, workflow automation, and business continuity solutions to meet the challenges faced by CPSI facilities. Our suite of solutions will allow your facility to receive the maximum benefit from running CPSI Healthcare Information System. Our team and technology can optimize your commitment to improved community healthcare by addressing your specific needs and integrating tailored systems that work within CPSI. Summit Healthcare systems are the trusted solutions tailored on a case-by-case basis to fit your needs. Summit Healthcare’s experience allows us to address a CPSI facility’s specific challenges in a cost-effective and timely manner. 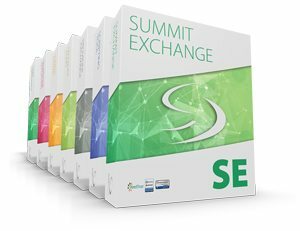 Our clients find immense leverage in utilizing the Summit Scripting Toolkit to automate processes and streamline efficiency by quickly building and incorporating new scripts and systems compatible with CPSI. Hospitals running the CPSI Healthcare Information System have discovered more capable and complete interoperability with the integration of Summit Healthcare solutions. With the understanding that each organization uses different systems and has unique needs, Summit Healthcare works closely with organizations to examine their current systems and provide the most comprehensive solutions with the best fit. Summit Scripting Toolkit – Maximize your CPSI products and automate your processes to best suit your workflows with the Summit Scripting Toolkit for intuitive and easy to use script development.